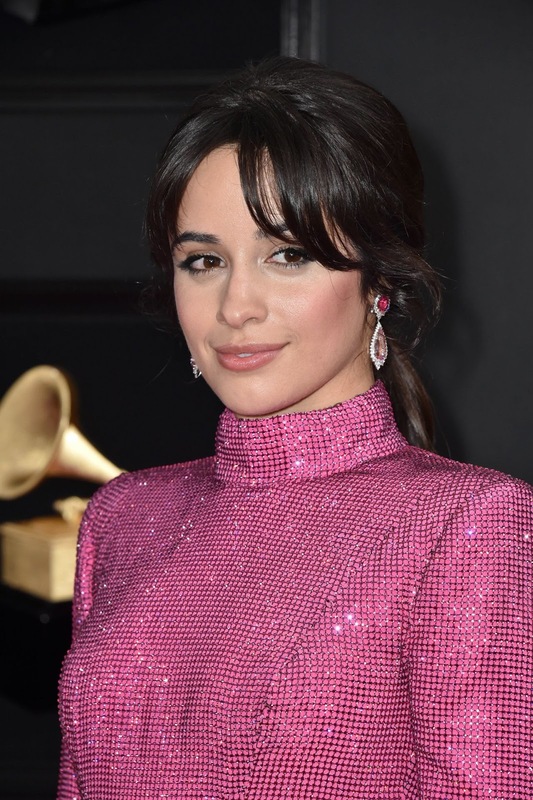 "Havana" songstress Camila Cabello was a sparkling sight as she posed on the red carpet of the 2019 Grammy Awards, clad in a figure-hugging pink sequinned ensemble by Armani Prive. The floor-length dress included a high neckline and open back and put Camila's pert bottom on show. The star wore dazzling drop earrings with the look and tied her brunette hair in a fringed low-ponytail, topping off her look with pink platforms.